The Jeep Wrangler JK exploded onto the scene in 2007, instantly revolutionizing the offroading landscape. The two-door Wrangler model maintained the legendary size and maneuverability of previous Jeep models, while the brand new and spacious four-door JKU redefined ?family time? as all-out top-down fun on the hardest trails on the planet. The more modern design of the JK Wrangler introduced significant engineering challenges for armor companies who, at the time, had only designed armor systems for previously square Jeeps. JcrOffroad met the challenge head-on, immediately designing innovative bumpers to not only fit the lines of the new JK, but enhance them. Description: Wrangler Full Width Front Winch Bumper - JK Vanguard JcrOffroad's Vanguard Front Winch bumper is designed for those looking for the maximum fender to fender protection for the Jeep Wrangler JK. 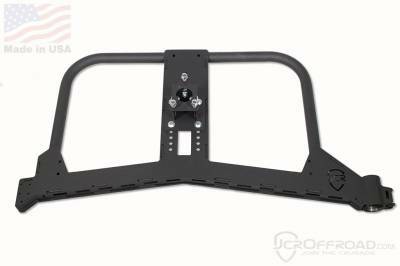 Description: JcrOffroad's Vanguard Rear Full Width bumper is designed for those looking for the maximum fender to fender protection for the Jeep Wrangler JK. Description: JcrOffroad's front lower skid protects the Wrangler JK-s lower crash bar as well as the Rubicon electronic sway bar from damage on the trail. Description: JcrOffroad's Mauler Front Winch bumper is designed for those looking maximum clearance and an uninhibited approach angle for the Jeep Wrangler JK. Description: JcrOffroad's Dagger Front Frame Chop Winch bumper is designed for those looking maximum clearance and approach angle for the Jeep Wrangler JK. Description: JcrOffroad's Mauler Rear bumper is the markets only stubby rear bumper option for the Jeep Wrangler JK. 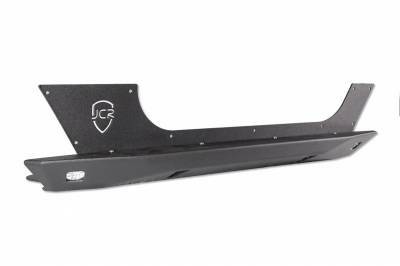 Description: JcrOffroad's Dagger Rear bumper gives the markets best rear departure angle, but still offers protection for the back of the body on the Jeep Wrangler JK. Description: JcrOffroad's Adventure Carrier is designed with the expeditionary type in mind! Providing ways to carry extra fuel, water and gear on the Jeep Wrangler JK. Description: JcrOffroad's Body Mounted Tire Carrier is designed for those wanting to run a minimalist rear bumper or looking for something that will work with any rear bumper choice. Description: JcrOffroad's Shield Carrier is designed for those looking for a convenient one hand operated tire carrier for the Jeep Wrangler JK. Description: JcrOffroad's Crusader Rock Sliders are a triple threat all built into the same package; a trail proven rock slider, a usable step and offroad rock lights! Description: JcrOffroad's Rocker Armor Skins are designed to give you rocker protection and keep a clean look to your JK! Description: JcrOffroad's Premium Jeep Wrangler Fender Deletes are designed for those looking to run without fender flares, but don't want to deal with the ugly factory inset. Description: JcrOffroad's Crusader fender flares are designed for those wanting to maintain the factory coverage, but would like to increase tire clearance and ditch the factory plastic flares. Description: JcrOffroad's Mauler fender flares are designed for those looking for maximum clearance and increased tire clearance that is inhibited by the factory plastic flares. Description: JcrOffroad's Vanguard fender flares are designed for those looking for extended coverage, but would like to increase tire clearance and ditch the factory plastic flares. Description: DIY Grill Hoop for 07-15 Jeep Wranglers. Description: .750" thick mild steel with a 3.750" tall weld on face. 1.000" through hole accepts most .750 D-ring shackles. 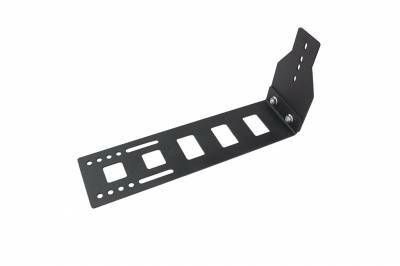 Description: This mount allows for a quick and easy mounting location for your front mounted offroad flag. Description: The Universal Hi-Lift Mount allows for securely mounting a Jack in various applications. 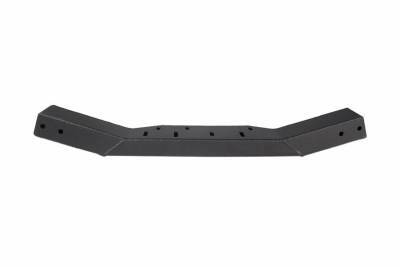 Description: The tire mount is constructed of .188 thick steel. Built in adjustability for the exact backspacing of your wheel. Description: JcrOffroad's Trailgate allows for carrying RotoPax containers and doubles up as a trick 3rd brake light! 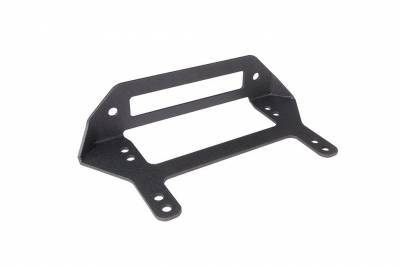 Description: BARE Metal - The Prerunner tire mount allows for safely and securely mounting a spare tire in the back of your Jeep or in the bed of a truck. Powder Coat or Scorpion coating with colors available, message us for more details. Description: The Classic Sliders are tried and true, giving you maximum strengthen and protection for your Jeep's rocker panels. Description: JcrOffroad's Tailgate Cover Plate allows you to cover up the unsightly tailgate vent after removing your factory spare tire carrier. Description: JcrOffroad's Crusader Trail Doors give you a summer-time alternative to full steel doors or expensive factory half doors. The Doors are designed to increase visibility, but still offer security and protection over going door-less. Description: JcrOffroad's Inner Fender kit offers a stylish yet functional way to replace the factory front fender liner. Description: This mount allows for mounting Rotopax containers onto the JcrOffroad Shield Carriers. 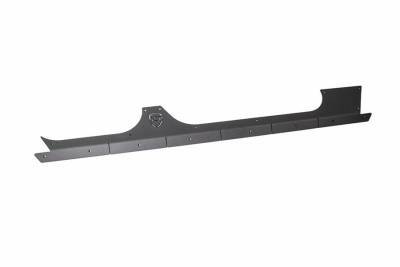 Description: JcrOffroad's heavy duty crossmember will replace your weak, beat and battered factory crossmember.